The eastern Solent is starting to slowly fill up with many yachts on the final leg of their race. 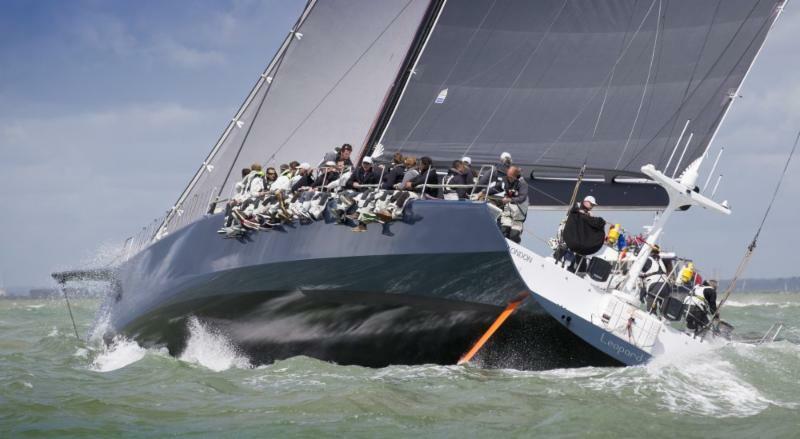 At this stage most of these are high-end racing yachts, often with professional or semi-professional crew on board. The strong winds mean few of the family sailors in the bulk of the fleet are flying spinnakers, so for them it may not be a super fast race. Fortunately, the tide is now turning in their favour, which will also help to flatten the sea state. Derek Gilbert of Raymarine, on board the Bavaria 36, Larissa, was just past Ventnor and enjoying the sunshine at 1430. Most boats are now past the half-way mark at St Catherine’s Point, with the back markers – the last few boats from ISC Groups 7 and 8 – half way between there and the Needles. With the west-going tide easing off, the sea state has reduced since earlier this morning. They have until the time limit of 2230 to reach the finish. 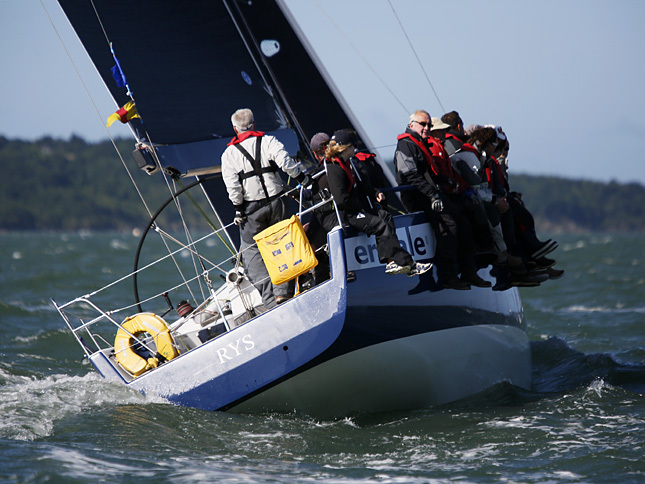 Bernard Langley’s TP52 Gladiator was second monohull across the line, in an elapsed time of less than four and a half hours. Currently Gladiator is at the head of the overall IRC leaderboard on corrected time, although that may change as the finish times come in for the hundreds of subsequent finishers.